That words across my mine during web-surfing, while my gmail and iGoogle account still logged in. Moreover I like Chrome to get any information through internet. Does Google really spy on me? If you open History in Chrome, you will be amazed by how well-organize Chrome doing it. 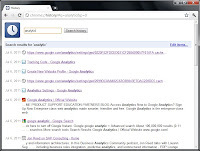 You can re-find the websites you've been seen by only typing the keywords. 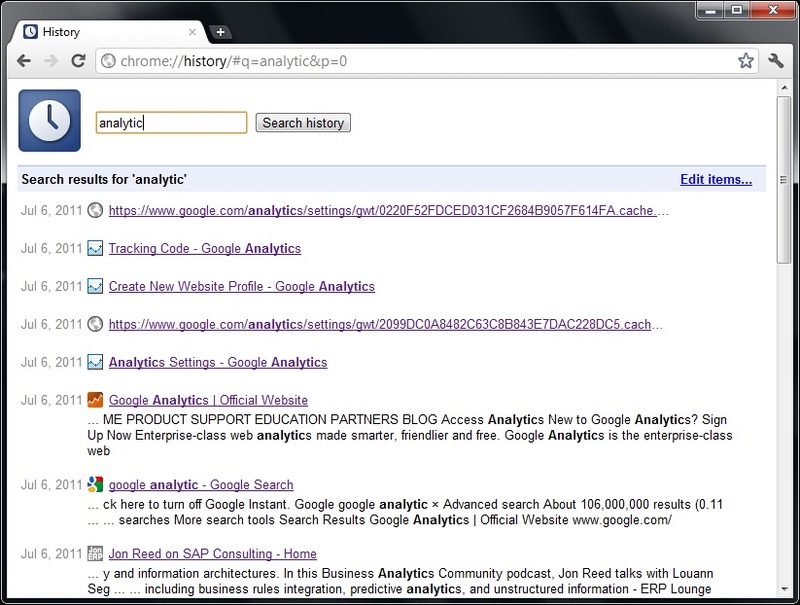 For an example I type analytic, than it will show all websites that I've been came by, with analytic within it! Even I can't find it in Internet Explorer 9! But again, does Google stored history of all websites I've been seen? With the credibility of Google, my simple answer is NO. I'm sure Google will keep privacy of it's users. But, am I right? What do you think?